The flash cards here are good. There is another site that you can use. Its pretrip.net. The pictures are larger. It also gives you study points. Use all information you can get. If you have more questions please ask us. Be sure to check out the other i.formation here. It is really going to help you. Honestly those flashcard pictures are too small and you can't see the parts very well. The pictures should be way bigger. I am doing the rest of the quizzes and those have helped a lot. I'm thinking about going to cdl school but the company I'm thinking about getting training from said 7 days on 1 day off, 14 days on 2 days off,etc. Is this a good hometime or normal days off? I like your idea. I'm in and I'll hopefully be going to school soon to start my career in trucking. Maybe you or other truckers that see this forum should just start pulling out the bbq grill on the weekends at the truck stops. WE could have that again in our profession. This website could make it happen! Who's with me? Actually, for quite some time now I've been pondering putting together some sort of a "pledge" of professionalism or an organization for drivers to join. It would be like a brotherhood of drivers that understand the importance of professionalism and would like to revive the image of the industry. I wrote an article about the situation called A Look In The Mirror. There's a fascinating contrast of behaviors in trucking that I think serves as a prime example of the choices we make. When you listen to the CB on channel 19 you'll hear tons of filth - arguing, cussing, criticizing, racism - just nasty stuff. But then you get out of your truck and walk into the truck stop and those same people that were just screaming filth on the CB are now holding the door open for you, smiling, and saying hi to you as you walk in. You go get breakfast at the restaurant, strike up a conversation at the restaurant counter with other drivers, and have the most pleasant morning imaginable. What a stark contrast it is. I would love to see drivers choose to live their lives with a high level of integrity and expect it of each other. And that's exactly what it is - a choice we all make. Who are you going to be today? What standards will you hold yourself to? How will you treat each person you come across? That's who we are as individuals and that's who we are collectively as truckers - we're the sum of our choices. Our expectations of ourselves. I think there's a lot of truckers out there today that would never go for this. Not at first, anyhow. But many would. And most of the new truckers would. I think you could start a massive movement and bring attention to the idea of returning to a "Knights Of The Road" way of living and doing our jobs. Hey, this website right now is getting over 110,000 unique visitors per month. Any message we send will hit over a million people a year. 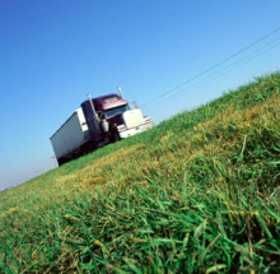 There are only 3.5 million drivers in the nation and the turnover in trucking is high. If we had the right pledge or organization we could quickly change the entire industry. TruckingTruth has become like "the orientation" for the trucking industry. This is where you get started in the industry. So we can get this message to new drivers as they get their career started. It could catch on in a big way! All we need to do is name this organization, define "the pledge", and find someone to make 1 million magnets and T-shirts!